Every myth, legend, conspiracy theory, and folktale you've ever heard is true. Witches, vampires, Bigfoot, international conglomerates looking to control your life - they're all real, and you're one of a select few that has the power to do anything about it. 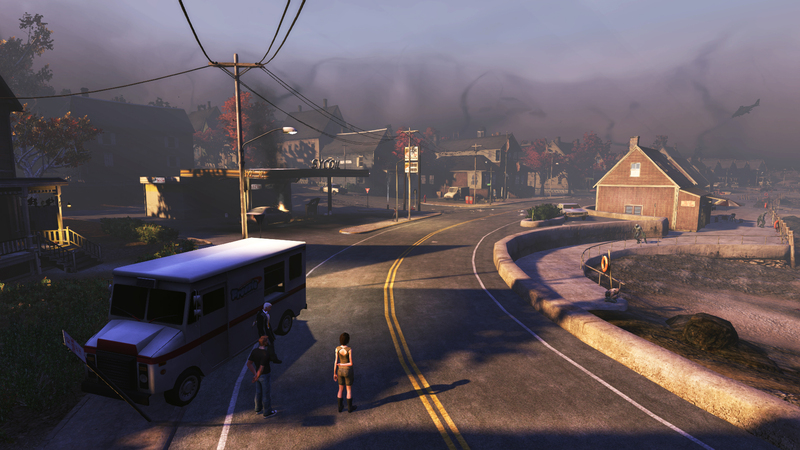 That's the basic set up behind The Secret World, the upcoming MMO from Funcom. It's an ambitious project looking to shake up the genre with a modern-day setting and an atypical approach to character development. It's weird, funny, beautiful, and sure to make certain long-time MMO fans uncomfortable. 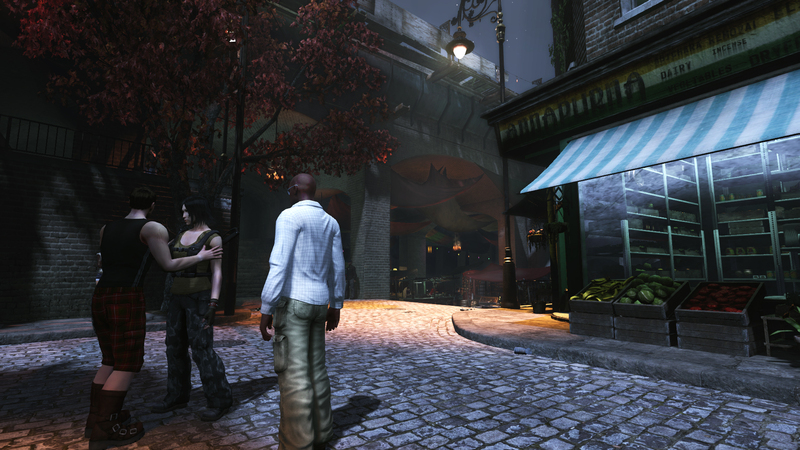 I recently got the chance to play through the first few hours of the Templar storyline of The Secret World. The Templars in London, who aim to deliver the world from evil by any means necessary, are one of three secret organizations you may join when you begin the game. The Seoul-based Dragons believe in the art of chaos, setting small events in motion that will eventually lead to bigger things. The Illuminati make New York their home, preferring to stay in the shadows and act as puppetmasters. 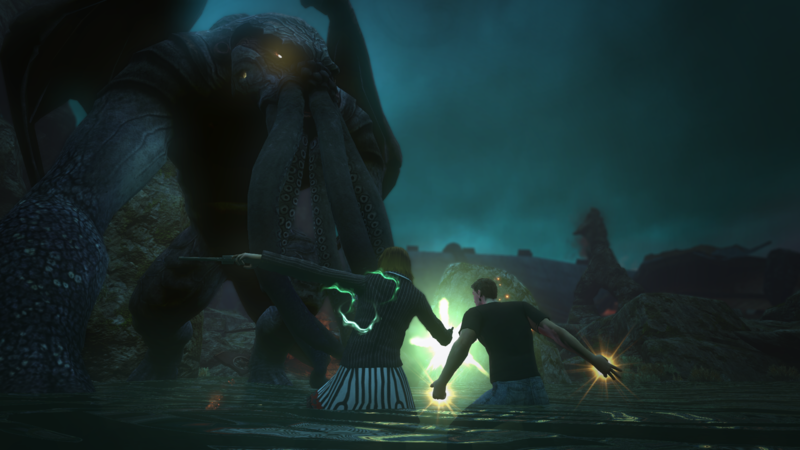 The story missions of The Secret World are the thread through the first 150 hours or so of the game from your chosen faction's point of view. The Templar storyline begins with your character hiding in her apartment as she wrestles with the emergence of her powers. A representative from the Templars comes calling, saying that you can either join and enjoy their protection, or see how long you last on your own. Besides, she jokes, they offer a great medical plan. One of the Templar's leaders explains that they are not the Knights Templar, but rather a "forward-facing organization" that believes its "firm guidance is needed to save the world from itself." Might makes right, and it's up to the Templars - and now you - to "judge the correct application of might." No pressure, or anything. Your training will be your first exposure to The Secret World's unusual take on building a character. There are no levels in the game and no classes. Instead, you'll develop your abilities by mixing and matching different skills on the Power Wheel. There's no such thing as following the mage progression or the tank progression -there are more than 500 skills in the game, and you can master all of them with a single character. You can play as a healer one day and a tank the next, simply by switching up which 7 active and which 7 passive abilities you have equipped. Though areas of study are grouped based on guns, magic, and melee weapons, skills from one area can apply to another area. The skill that increases how much your attacks penetrate might originate in gunplay, but it works for magic and melee, too. It's a system that's a bit overwhelming and alien at first, but it doesn't take long to realize the benefits of its fluidity and customizability. If you wind up with a character whose talents you don't enjoy, all you need to do is equip different skills. I went in for Blood Magic at first, but after I found a shotgun during a quest, I spent a few skill points on guns to improve my ability to dole out lead-based death. The option to switch between styles so quickly made it easy and fun to experiment with different playstyles. I never felt like I'd chosen the "wrong" option, because there was no such thing. You get XP from just about everything you do in The Secret World, like crafting, missions, and PvP, but you won't be leveling up in the traditional sense. Instead, your reward for filling up your XP bar is a point to spend in the Power Wheel. Your progression is marked by the gear you can equip. The skills you equip scale with your gear, so finding or making newer, better stuff is key. But don't expect to be collecting the same old armor, because clothes in The Secret World are for aesthetics only. Funcom really wanted to make sure that your character was utterly unique, so clothes have no stats at all, leaving you free to dress however you like. Between the variety of powers, gear, and clothes you can select, you should have no trouble creating a character that is truly one of a kind.